Michael J. Conway, 74, of Torrington, died on February 6, 2019 following a long illness. He was the son of M. Tracy and Catherine (McElhone) Conway. He leaves behind Melissa (Mettling), his wife of 51 years and the love of his life. 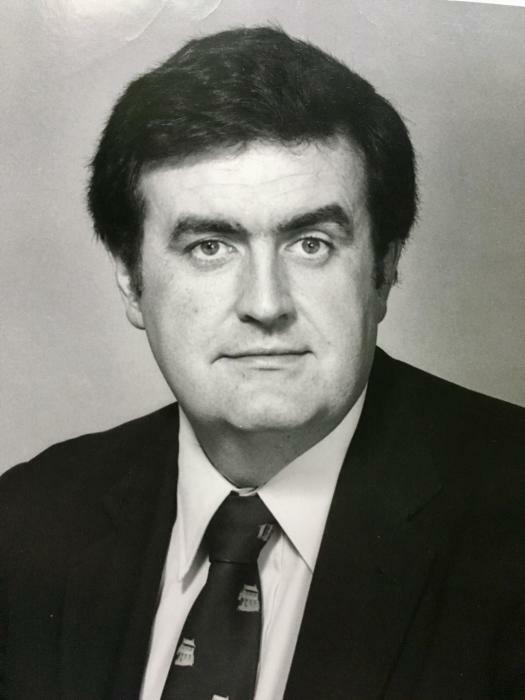 He graduated from Torrington High School in 1962 and the University of Connecticut in 1966. He also received his Master’s and Sixth Year degrees from the University of Hartford. Like his father, he was a English teacher and chair of the department at Torrington High School. After serving two terms as a city councilman, he was elected Mayor of Torrington for three terms. During that time, he was President of the Connecticut Conference of Municipalities. He then served as Assistant Director of Education at the Connecticut Junior Republic. After retiring, he and Melissa spent their time caring for and loving their grandchildren. He also continued to volunteer for many community organizations, notably Connecticut Volunteers in Service to the Blind and Handicapped, the Oliver Wolcott Library, and the UConn Alumni Association. Mike was a lifelong New York Yankees, Torrington Raiders, and UConn Huskies fan, an avid fisherman, a fabulous cook, and the consummate storyteller. He was a voracious reader and an authority on Torrington history and trivia, and had a quick and clever wit, but his passion was teaching. He had many dear friends with whom he kept in close contact, and touched the lives of all who knew him. Tom and Kathy Mettling, JoAnn Ryan, Margaret Fitzgibbon, Bebe and Tom Duffy, and Doree and Joe Dubyel, and his many nieces and nephews. He was predeceased by his brothers Thomas and M. Tracy Conway, Jr., and his lifelong best friend, Michael A. Merati.